Product prices and availability are accurate as of 2019-04-05 08:16:04 EDT and are subject to change. Any price and availability information displayed on http://www.amazon.com/ at the time of purchase will apply to the purchase of this product. 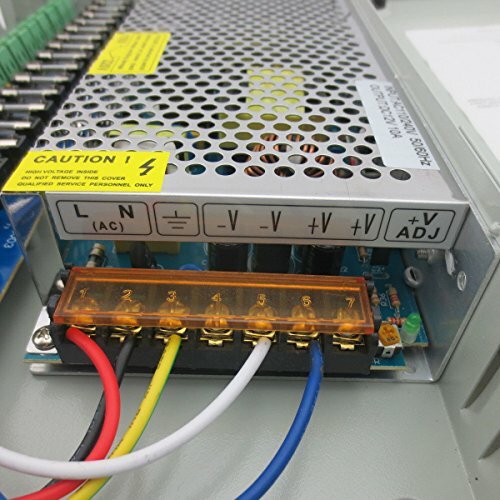 Power supply panels for up to 9 cameras offer a more professional alternative to individual power adapters. Each outlet is individually fused and each panel is surge protected. LED light for monitoring the power status. 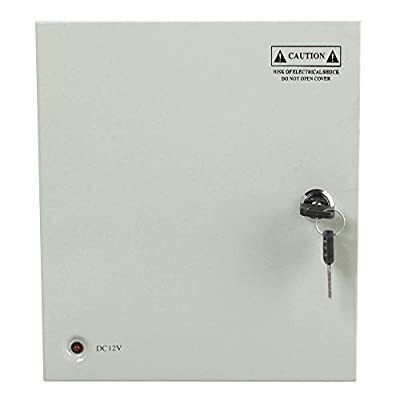 Key lock prevents unauthorized access. Pro-size box provides plenty space for wires. It is divided in low voltage and high voltage space, to protect from high voltage damage to cameras. 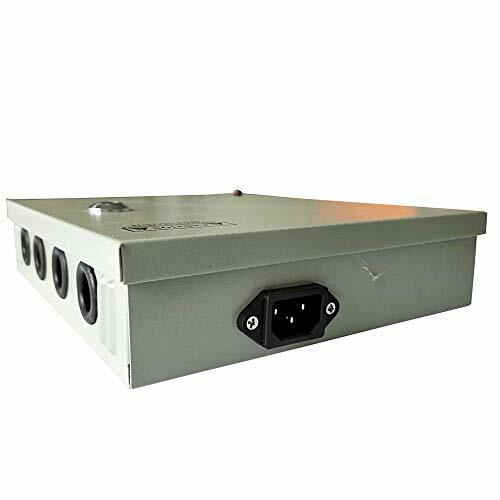 Package Includes: 1 x 9 Ports 12V DC Power Box. Notice: Do not include a wire for the power box to plug into the wall. 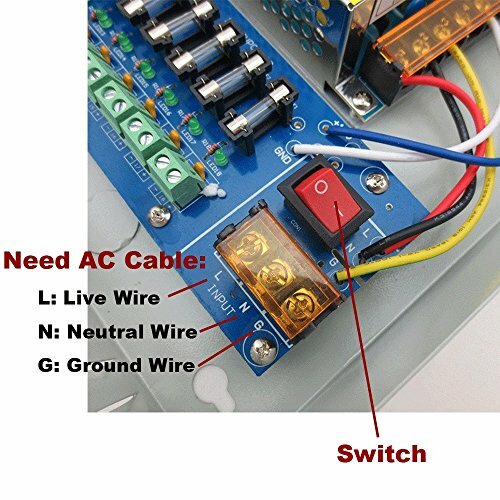 You need to buy a 3 Prong AC Power Cord to connect the power box by yourself. 12V DC regulated power box; 9 channel output, Support up 9 cameras, 9 individually outlet pairs Input AC 110-240V; Max. output 10Amp total; Max. 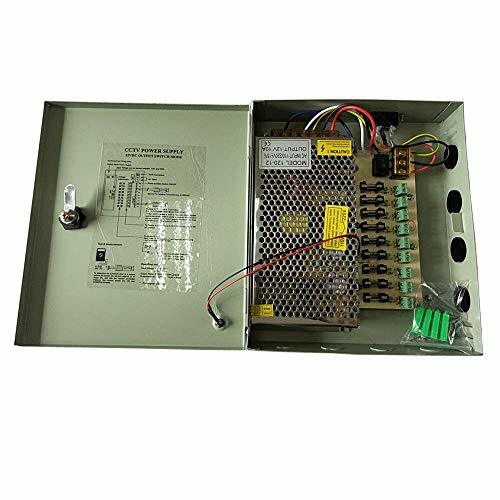 output 1Amp for each channel Individual LED power indication, the red light shorts indicator helps you to know which camera is not working Main power switch with integral surge protection; Metal case with lock prevents unauthorized access Notice: AC cable is not include. You need to buy a 3-prong plug AC cable to connect the power box by yourself.